To the Western world, Southern Rhodesian prime ministerGarfield Todd was seen in the 1960s and 1970s as an enlightened white African hero, who took up the cause of independence and freedom for blacks. In Southern Rhodesia (now called Zimbabwe), he was viewed as a traitor by most whites and even a hypocrite by some blacks he sought to help. Reginald Stephen Garfield Todd was born to Thomas and Edith Todd on July 13, 1908, in Invercargill, a southern coastal city of the south island of New Zealand. Of Scottish descent, Todd studied at Otago University, the University of the Witwatersrand, and Glen Leith Theological College. He became a Church of Christ minister and worked briefly for Thomas Todd & Sons, a family business. It was the work of the church, which called him. In southern Africa, a British territory called Rhodesia had existed since the late 19th century. Early white settlers came looking for minerals, mostly gold. Under the British South Africa Company, a government was establish by whites. Prior to this, many factional black tribal groups prevented any one tribe from controlling the region. The new land was named Rhodesia after early settler, Cecil Rhodes. It became one the gems of the old British Empire. The pleasant climate and suitable ranch and farming land attracted more white settlers. The church missionaries, which would eventually include Todd, were not far behind. The Southern Rhodesian Missionary Conference was founded in 1906 by 15 Christian church bodies. The education of blacks became a priority for the missionaries. That led to the Native Education Ordinance of 1907. Enrollment went from 4, 000 blacks in 1907 to more than 40, 000 by 1918. Missionary work and opportunity drew Todd to the African continent in 1934. Prior to leaving New Zealand he married Jean Grace Wilson. He began teaching at the Dadaya Mission School in the Shabani district in the southern portion of the nation. It was here he acquired a huge ranch. Robin Moore, a former American ambassador to Rhodesia, said in his book Rhodesia that the ranch was "several thousand acres and would eventually be linked with rail service." Soon Todd was busy raising a family of three daughters. over the incident. Years later in 1980, Todd criticized the government for its handling of another student strike. The legacy of the missionary schools was vital. The institutions eventually produced most of the black nationalist leaders, who sought to take political control of their country away from the small white minority-never greater than five percent of the total population. Todd entered politics in the late 1940s. He was first elected to the Legislative Assembly in the capital city of Salisbury in 1946. He represented Shabani from 1946-1958. He served also as president of the United Rhodesia Party during the same years. In his first seven years in Rhodesia's Parliament, Todd was considered an authority on native affairs. Prime Minister Godfrey Huggins picked Todd to succeed him in 1953. The years after World War II set a new tone for Rhodesia. The nation's economy brought more white settlers, although never more than an estimated 200, 000 of the nation's five to six million people. The defeat of totalitarian regimes in Europe caused many blacks to question when they would attain full citizenship. Although complete freedom did not exist in Rhodesia, the racial climate was believed to be better than in neighboring South Africa, where the strict system of racially segregated apartheid was the law. Todd heard the concerns of blacks. In his administration, he introduced home-ownership plans for blacks and amended laws that would give black Africans greater access to land ownership. In addition, a commission was appointed to look into the position of trade unions. An electoral act was also passed that allowed more blacks to vote. This caused controversy among many in the white leadership. Todd's administration doubled the number of African pupils taken into the educational system. Some members of his cabinet were displeased when he failed to make adequate provisions for funding of the 500-600 new teachers needed to accommodate the additional students. That dispute, and others, led to the resignation of Todd's five-member cabinet in January 1958. It also ignited a period of turmoil in Rhodesian politics that would eventually spawn a deadly civil war and invoke scorn from the international community. A.J.A. Peck recounts in his book, Rhodesia Accuses, an address made to Parliament by one of Todd's ministers, Sir Patrick Fletcher, on January 11, 1958. He accused Todd of driving a wedge between the black man and the white man by making it appear that he (Todd) was the "champion of the black man against the white." Fletcher maintained that Todd had taken too much of the credit for legislation passed and had not adequately communicated with his cabinet. Some ministers said they were unaware of Todd's decisions until they read the newspapers. 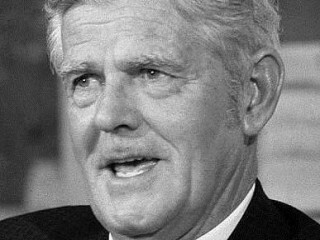 Ian Hancock theorized, in White Liberals, Moderates and Radicals in Rhodesia, that the ministry may have been trying to avoid a scandal, which allegedly included Todd buying cheap Crown land when he was a lawmaker. Todd attempted to answer Fletcher in Parliament. While he was speaking, Fletcher stood up and told the lawmakers Todd was speaking a "travesty of the truth." The resignation of his cabinet marked the end of Todd's life as the leader of Southern Rhodesia. He attempted to form a new government, instead of quitting, but was soon voted out of office. Todd attempted to regain power with two other political parties, but failed. With support of the Central Africa Party, Todd sent a letter to Great Britain urging that Rhodesia's constitution be declared invalid and that new democratic measures be enforced with British troops. Todd was forced to resign from the party after other leaders distanced themselves from him. The letter severely damaged his political career. Although out of power, Todd continued to crusade for more black participation in government. He criticized the white leadership, particularly Ian Smith, a conservative who served as prime minister from 1964-1978. Smith did not appreciate Todd's sympathies for the blacks. When asked about the possibility of Rhodesia voting for majority rule, Smith said he didn't believe any white person in Rhodesia accepted it, with the exception of Todd and a dozen others. Todd became such an enemy of the whites that The Rhodesian, a rival party's publication, said in 1958 that "one white citizen slammed the door in the face of a candidate campaigning for office that had mentioned Todd's name. The candidate knocked again and had to explain he wasn't a Todd ally." Todd gained international attention after having been confined to his ranch, with his outspoken daughter Judy. Both had supported black causes in the 1970s. Smith wouldn't tolerate such behavior and had him imprisoned in January 1972 for violating the Law and Order (Maintenance) Act. From 1972 to June 1976 Todd was restricted to his ranch. It was then that a civil war erupted with about 30, 000 guerrillas fighting against a similar number of government forces. Hancock called Todd's confinement to the ranch ironic, since "hundreds of blacks jammed into jails couldn't draw the same kind of sympathy from the world." Todd took his case to the international community and found sympathy in the United States. United Nations ambassador, Andrew Young, was willing to listen. Being a black man sensitive to racial matters in own nation, Young was able to persuade President Jimmy Carter to exert pressure on the Smith government to yield to black nationalists. Facing intense economic pressure from most of the world, Smith was reluctantly forced to resign in favor of a black majority government. A transition government was established between 1978 and 1980. The Republic of Zimbabwe came into existence on April 18, 1980. Most of the old colonial names were changed, including the capital city of Salisbury, which became Harare. Todd was elected a senator in the new government, a post he held from 1980-1985. Though Todd was hailed by the West as a savior for blacks, many of the nationalists were skeptical of Todd both during and after the time he held public office. As Robin Moore stated in Rhodesia, Todd would "publicly advocate higher wages for blacks, but paid his own ranch staff the same low wages. Although Todd advocated land ownership for blacks, he adamantly defended his right to own a large tract." The black nationalist leader, Edson Sithole wrote in a Salisbury Daily News article that " Todd was selected as prime minister, because of his reputation of knowing the Africans, could deal with them severely without arousing much public criticism." In 1954, Todd had brutally quelled a strike with black workers at the rail junction of Wankie. In Rhodesia, The Struggle For Freedom, Leonard T. Kapungu states that Todd settled the strike, "without investigating whether the striking Africans had genuine labor grievances." Although often criticized during his five decades of public life, not all evaluations of Todd are negative. Dr. Denny Pruett knew Todd for years and said in 1998, "Todd loved the African people and they loved him in return." In the former prime minister's lifetime he had seen Britain and its former empire undergo tremendous change. In the 20th century transformation of Rhodesia into the modern nation of Zimbabwe, Garfield Todd certainly played a major role. View the full website biography of Garfield Todd.